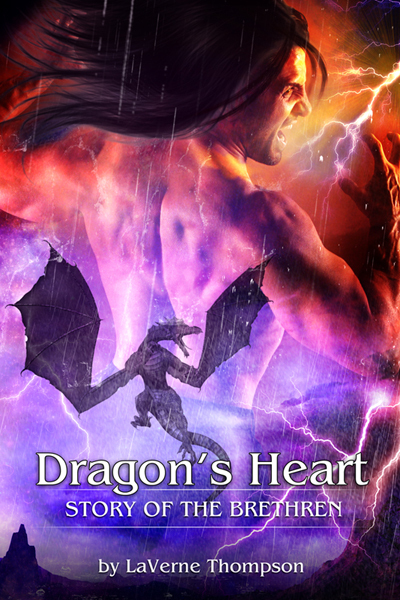 Today we have a sneak peek from author LaVerne Thompson’s new fantasy romance novel: Dragon’s Heart. A thousand years ago Draakar was forced to leave Earth, now he has no choice but to return. The dragon lord, whose world teeters on the brink of destruction, must find his truemate. The one woman with the power and love fated to save them all. The woman he left behind. Maya Trent was abandoned on Earth, apparently human but so much more and unaware of her dual heritage. Once Draakar awakens her dragon within all she wants to do is kill him. But they must still work together to save mankind as well as the brethren. 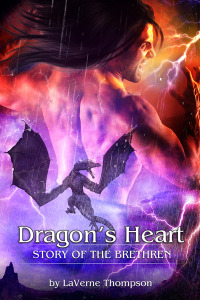 Dragon’s Heart is available from Amazon US, Amazon UK and Smashwords. Once, these majestic beasts soared through the heavens at will. Masters of wind, rain, thunder, and lightning. Favored by Mother Earth and ruling over her domain, but all that happened before man embraced the coming of the one God and Earth magicks slowly disappeared. Or so legend had it. Once, dragons numbered in the hundreds of thousands, but only a handful of hatchlings had been born in a thousand years. Their number slowly dwindled. Once, predators now prey. With their magic weakening, humans—with the help of one of the brethren’s own—hunted and killed dragons, their mates and any offspring. The survivors of the purges had to leave Mother Earth or die. Earth was no longer safe. Only one place left they could go. The brethren had to return to the lost land of their beginning by opening a gateway to another realm. Earth was merely one of many worlds existing on parallel planes and those with the knowledge and the power could travel through gateways connecting them but at a great risk. They were unsure how to open such a gate or where they would end up if they succeeded. Memory said it could be done. They had to try or die. Still, some decided to stay. Earth was home. To remain behind and survive, they would willingly forgo their birthright, forever shed their dragon skin, drain their remaining powers and become fully human. Before the first of the sun’s rays crested the eastern horizon, dragons gathered at their sacred place high in a remote, hard to get to area in the Sperrin Mountains of Erin, an area few humans had ever seen, but every dragon knew. It was a special place, a circle of power controlled by a ring of stones with no name where the first dragon appeared. Those who would journey in search of the world from whence they began formed a circle around one dragon. The strongest amongst them stood in the center of the stones, his massive twelve foot frame dominating the area. Like the first dragon who opened the portal, a Dark Dragon Lord led them. As dark as the deepest night, as memory said the first Dragon Lord to have been. Unlike other dragons, whose scales shimmered with a spectrum of colors, his scaled massive form seemed to absorb light. No color whatsoever reflected off a hide appearing as smooth as silk but impregnable as titanium. His raised great head showed a spiked ridge running from the bridge of his nostrils over his skull down the length of his body. Green slitted eyes—the only color on him—filled with emerald fire, looked around at the dragons gathered just within the circle and outside it. He turned so he could survey them all. No great number remained. Sounds like a great premise! Congrats! Previous Previous post: Is it Time to Get Socl?